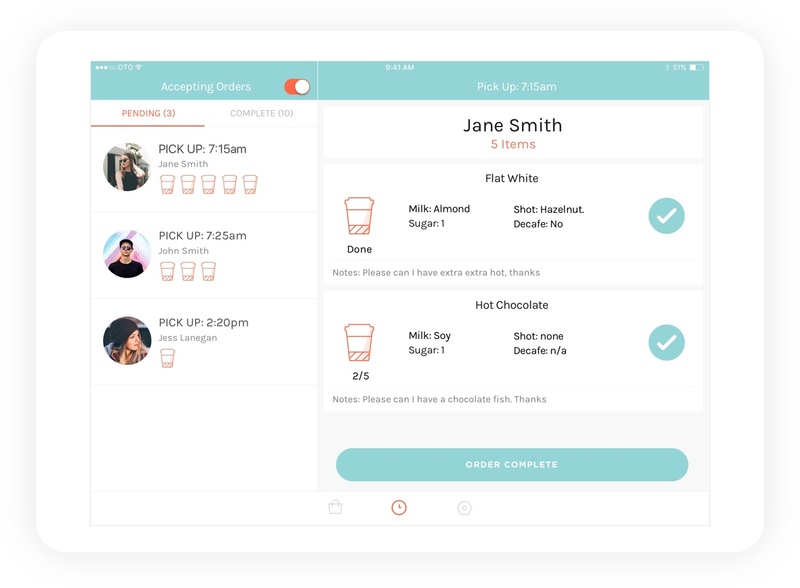 Sign up to On the Go, create your menu and start receiving orders today. On the Go uses Stripe Connect as its payment system. Receive secure, on time payments with analytic data updated live to your personal Dashboard. Set up a loyalty card policy in your menu settings. Track customer Loyalty points in line with your settings. A 5min time buffer before the customer set pick-up times allowing you greater flexibility to accept and process the order. Set up multiple menu categories to sell quick and easy products such as baking or savory items. Maintain full control when receiving orders with our smart 'Receive/ non-receive order' switch. 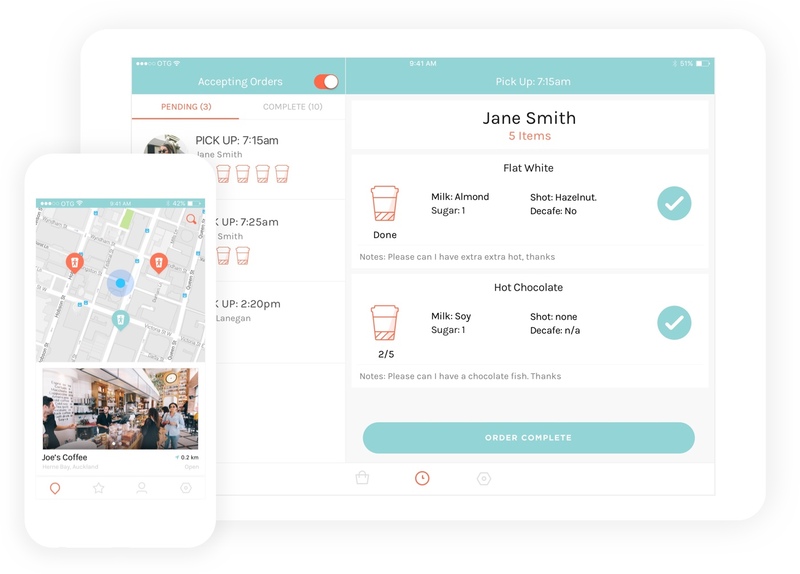 Be the first coffee shop that new customers will discover when opening the On the Go app. On the Go is contract free with no hidden fees. A fixed transaction fee of 15% is deducted at the point of sale which covers electronic payment and app costs. All fees are GST inclusive. Start receiving orders today across multiple locations with our On the Go Dashboard app for iPad. Register your cafe details today to get early access. We'll also send out our complimentary in-store advertising pack once an account has been created. Thanks for signing up to test On the Go! Initially testing is available to select locations, so we’ll be in touch shortly with further information on how to download the App.